This book is built on a simple premise: Most companies don't know what creativity really is, so they can't benefit from it. They lack creative clarity. Choreograph a creative strategy, describing a clear future even among the blurry business landscape. Grow teams that include those creative, unpredictable outcasts; give them the space to produce amazing work; and build a unique form of trust in your company culture. Institutionalize an iterative process of critique, conflict, and ideation. Embrace chaos but manage creative spin and stagnation. This book is primarily for people in charge of driving strategic change through an organization. If you are a line manager responsible for exploring a horizon of opportunity, the book will help you establish a culture of creative product development in which your teams can predictably deliver creative results. You'll learn methods to drive trust among your team members to enable you to critique and improve their work. And as an organizational leader, you'll complement your traditional business strategies with the new language and understanding you need to implement creativity in a strategic manner across your company. In a creative environment, chaos is the backdrop for hidden wonderment and success. 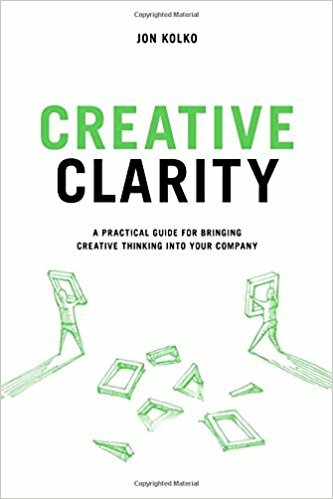 In this book, you'll gain clarity in the face of that chaos, so you can build great products, great teams, and a high-performing creative organization.